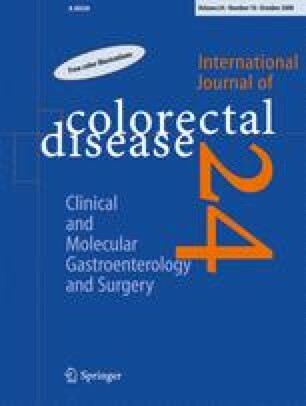 Patients with ulcerative colitis (UC) and Crohn's disease (CD) have a high risk for colorectal cancer (CRC). To understand the molecular basis of colitis-associated CRC, we analyzed alterations in TP53, APC, K-ras, and DCC genes in the non-dysplastic UC and CD colon. Endoscopic biopsies were collected from six predefined colon sites of 35 UC and 12 CD patients for DNA extraction and genetic analysis. A mutation was found in codon 1141 of the APC gene of two CD patients, being somatic in one and germinative in the other. The mutation seen in both patients was a base exchange of thymine for cytosine, resulting in an exchange of leucine for serine. We did not detect any mutations in the other samples analyzed. Mutations in APC gene may occur in the non-dysplastic CD mucosa of patients with disease for more than 10 years. The follow-up of these patients will show the likelihood of mutant APC progressing to CRC in CD. Further analysis will be required for evaluating the impact of these findings in the context of cancer surveillance in inflammatory bowel disease. This work was supported by funds from Fundação de Amparo a Pesquisa do Estado do Rio de Janeiro, FAPERJ, and “Conselho Nacional de Desenvolvimento Científico e Tecnológico, CNPq, Brazil.